We treat your aircraft as our own. A relentless pursuit for hassle-free, reliable, safe and cost effective private aircraft support in Southeast Asia. As the Asian pioneers to privately operating various models of aircrafts from the smallest pistons to turbines like turboprops and light jets, we understand the challenges private aircraft owners face in terms of accessibility to cost-effective maintenance and operations support. Though the journey is challenging, we remain committed to develop reliable support for the latest technologies! Giving our aircrafts the tender loving care they need to keep them safe and reliable. Keeping our aircraft owners' flying machines safe, clean & airworthy. Pre-purchase evaluation, scheduled maintenance and technical field service support during unscheduled breakdowns. A new integrated hangar and aircraft owners support facility (opening Jan2016). Giving all private aircraft owners and their beloved aircraft a proper home (plus an excuse for a watering hole) - finally. A long term commitment in the future of glass cockpit technology in private aviation aircraft since day one. Having operated Southeast Asia's first glass cockpit in private aircraft in 2003 and today, we remain committed to keeping ourselves current in operating and servicing the technology. A relentless effort to provide the tender loving care your aircraft needs. Our team of qualified field service technicians are constantly on standby to be deployed for any field service needs for our aircraft owners flying all over Asia. Factory trained and focused on the airframes and engine models that we represent as well as staying current and up-to-date on latest technologies, like new generation jet-fuel driven diesel and light jet power-plants. This allows our team to focus on dedicated support for the niche group of private aircraft owners' and operators' needs in Southeast Asia. Conducting engine diagnostics for cutting edge technology jet-fuel driven diesel engines. Aircraft being prepared for assembly after importing from USA via sea freight. With aircraft on jacks, WOA engineer troubleshoots the world's most technological advanced light jet for rectifications and defect parts replacement for our aircraft owner. Finding you the most timely & cost effective solutions to keep you flying. Like all aircraft operators, we understand airplanes are meant to be in the air, not be a "hangar queen". Spare parts needs to be accessible, available, timely and fairly priced. This is something that is we understand and we constantly strive to find the best solutions for our aircraft owners. Supporting the advanced jet fuel diesel engines. Constantly staying on the fore-front of integrated cockpit technology. Having operated Southeast Asia's first glass cockpit in private aircraft in 2003 and today, we remained adept at the fore-front of operating and servicing the technology. Already a Garmin aviation portables authorized sales center, WOA's engineering team is now gearing up equipment and facilities to be a full-fledged avionics service center having already supported many glass cockpit operators over the years. Replacing Garmin G1000 glass cockpit systems line replacement units. Keeping up with the latest and greatest installations all the time. WOA technical crew have experience operating glass cockpits day and night in the field all over the world. 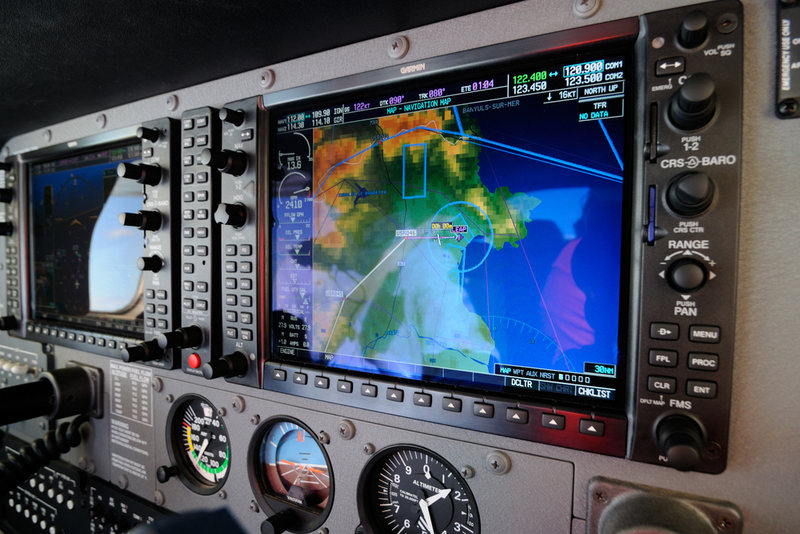 Mentoring that equips you with advanced flying skills, become safer and more proficient. How far do we go to ensure private aircraft owners and pilots are safe and proficient? Well....there's no end. Every new generation sophisticated airplane that we fly ourselves and our loved ones in deserves our on-going quest for knowledge to stay proficient and safe. In an aviation era where change seems to be the only constant, our instructor and mentor pilots provide the necessary knowledge platform and flight training to help our aircraft owners gain proficiency. Above and beyond that, our social network is the first in the Asia private aviation community to provides regular safety programs for private aircraft operators. Pilot proficiency training courses and seminars. WOA water ditching survival training for private aircraft operators. Learning disciplined, proficient and safe operations of advanced airplanes is often fun and rewarding at the same time.